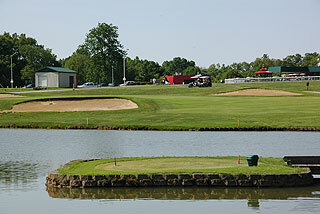 Christmas Lake is fittingly located in Santa Claus, IN, about 30 miles west of Louisville, KY. 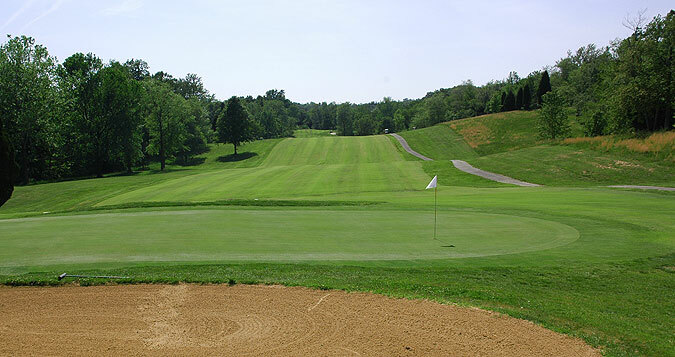 This is an 18 hole 7275 yard championship course that is well maintained, and a great value for golfers at all skill levels. As the score cards indicate, this is a long course that is very player friendly, and not overwhelmingly challenging. 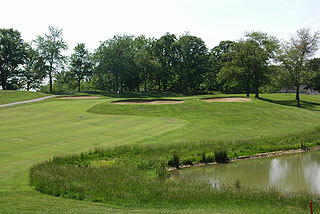 Four sets of tees play to the distances and slopes of 7275 yards/133 slope, 6701 yards/126 slope, 6006 yards/118 slope, and 5142 yards/116 slope from the ladies hitting from the forward tees. 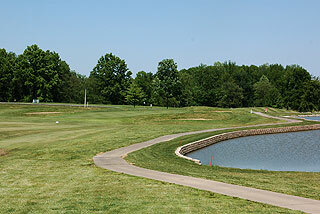 There are 43 soft sand bunkers placed throughout the course, and 8 of the 18 holes feature water hazards. 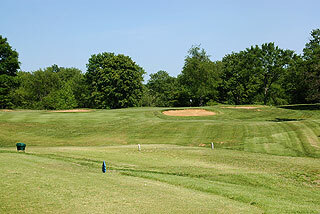 Very few of the bunkers are located in landing zones, leaving golfers room for error off the tees. Trees come into play on the dog legs, and water hazards provide a challenge in front of tee boxes, along fairways and near the greens. There is plenty of elevation change from tee to green on the fairways, but the ground remains mostly flat near the greens providing easy up and down opportunities. 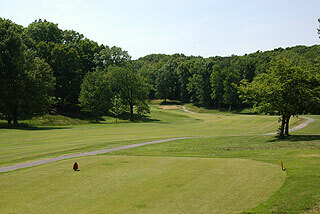 The course yardage is well marked with colored plates on cart paths and fairways measured at 100,150 and 200 yards from the center of the green. 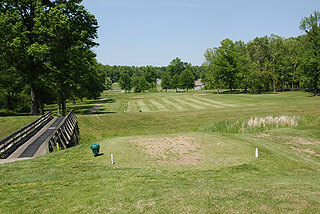 There are also white stakes placed in the middle of the fairways 150 yards out on all par fours and fives. All carts include daily pin placement sheets with six possible positions. 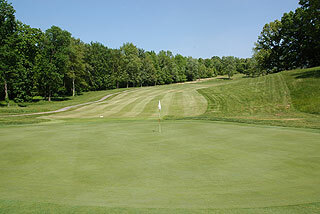 On property is a driving range at which golfers can hit off grass or mats, a large putting green, and a short game area with a sand bunker. The clubhouse features a pro shop, the 19th Hole restaurant open for lunch, dinner, and breakfast on occasion, and a swimming pool to cool down in after a round of golf. 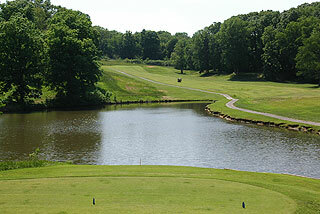 We encourage you to visit Christmas Lake and enjoy eighteen relaxing holes of golf. For more info, visit our detailed listing page for the course with a direct link to their website by clicking here.